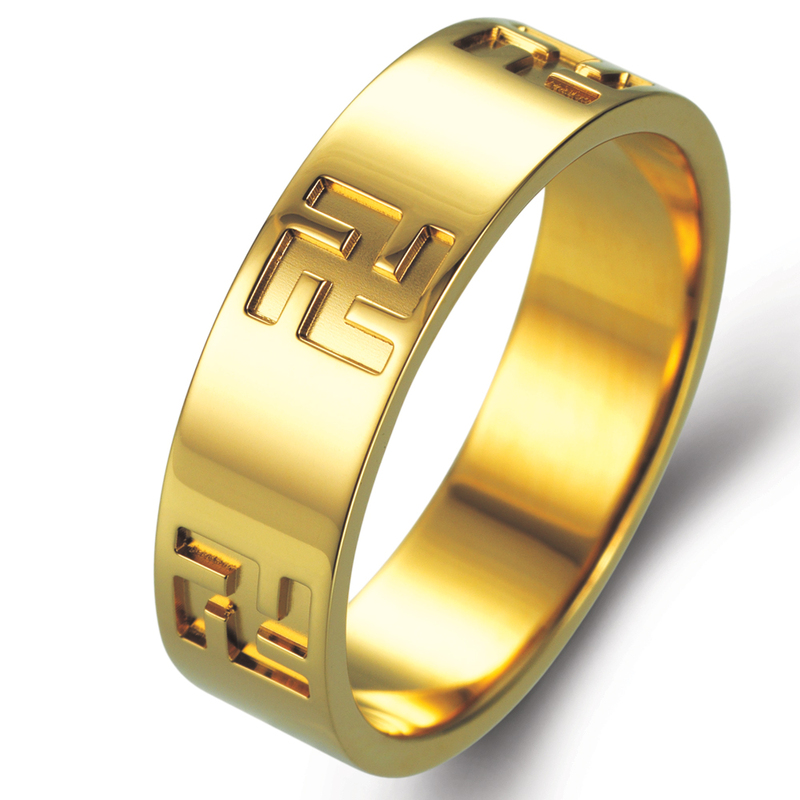 Wedding ring from La Vivion's Symbols collection. Ancient occult symbol found in Egypt, China, India include a right-handed (yang) and a left-handed (yin) version - opposites that "harmonize." It has represented the sun, the four directions, movement and change (the four appendages) and union of opposites (lines crossing).